Welcome back to brunch week on Stir and Strain. Today’s cocktail gets mixed up by the pitcher and also includes a long standing feud between two South American countries. That’s right! We’re batching up some pisco! 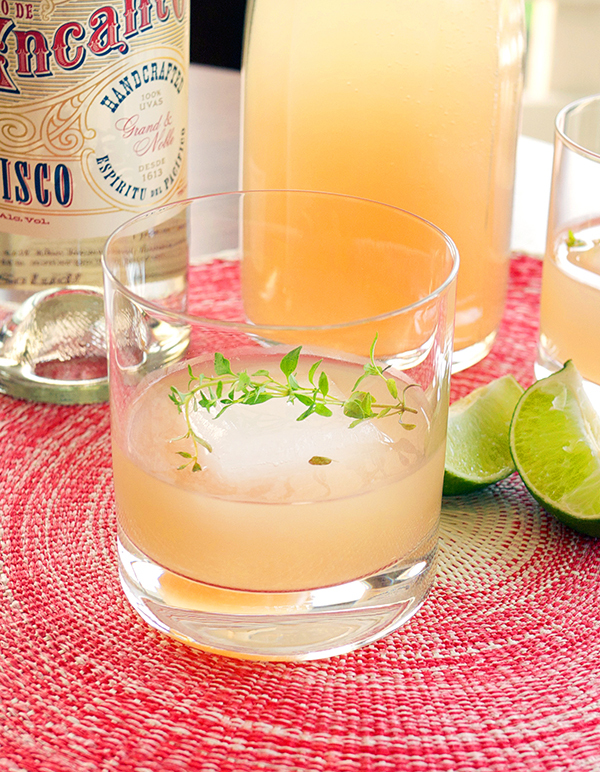 Why pisco today? Well, one reason is that it’s been awhile since I’ve made a cocktail on here with it. And two, well, I swallowed the pisco kool-aide (err.. punch?) so to speak. So obviously I needed to start mixing with it. 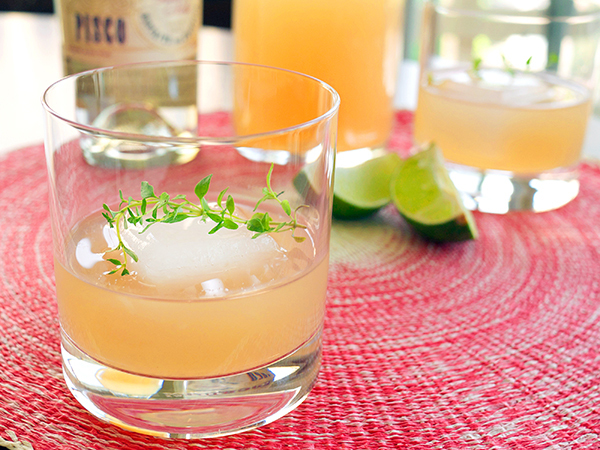 Consider this your gateway cocktail into the world of pisco (that is if you are still on the fence about drinking a Pisco Sour due to the egg white. OH, hey. I made a vegan version of that you should try). Here I’ve paired the pisco with the very much in season grapefruits that I had accumulated over the last several weeks from the farmer’s market. Yes, sometimes my seasonal cocktails are just a reason to get rid of some fruit I’ve over-bought. Then I spiked it with a little thyme and a splash of lime. Combine grapefruit zest, juice, and sugar in a medium saucepan over medium-high heat. Bring to a boil, remove from heat, cover and let stand for 1 hour. Strain into an air-tight container. Refrigerate until ready to use or up to 1 week. In the bottom of a mixing glass, muddle together thyme and salt. 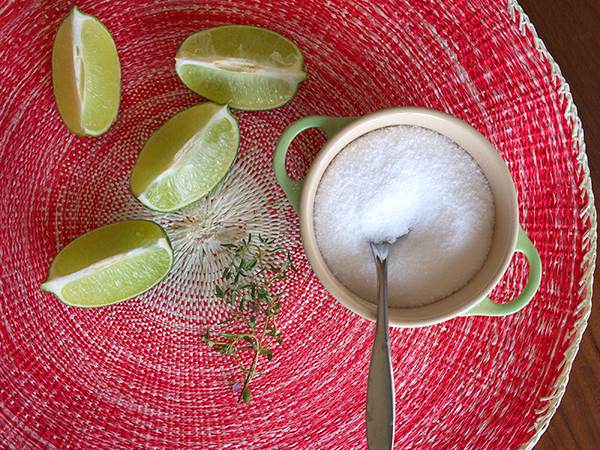 Add lime juice and stir. 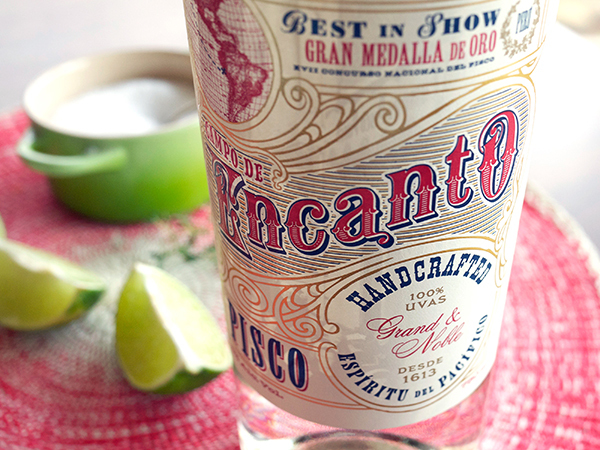 Fine-strain into a 24-ounce carafe or swing-top bottle and then pour in grapefruit syrup and pisco. Cap and gently shake to combine. Refrigerate until chilled, at least 1 hour. 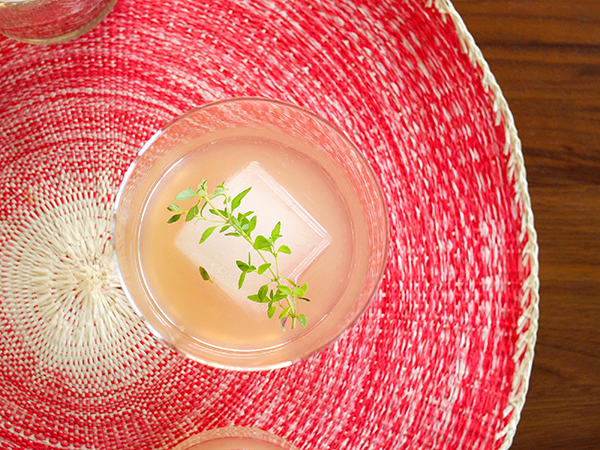 For each cocktail, add one large ice cube to a double rocks glass. Pour in 2-3/4 ounces of the bottled cocktail. Gently stir and garnish with a sprig of thyme. It’s a bright, delicious cocktail that you can easily have along whatever brunch-y dishes you might be cooking up. But still palatable for a pre-dinner drink too if that’s more your thing. I’ve been trying to dig up some good ones that use fresh herbs for our community garden meeting and this may just make the list!